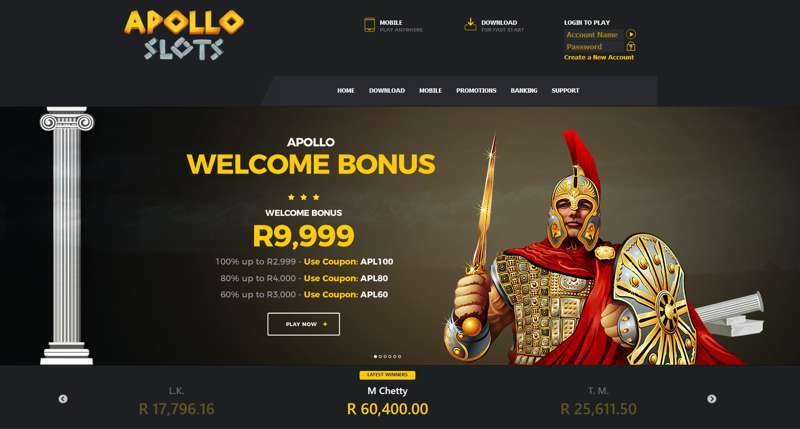 Apollo Slots is a fairly new online casino that has been running since the beginning of 2016. They are licensed by the Kahnawake Gaming Commission, one of the most respected gaming authorities in the world, and they offer a focus on South African players. The secure casino software used by Apollo Slots is supplied by RTG. They accept the South African rand, and all of their promotions are rand-focused to give players excellent overall value. New players can claim a Free R200 No Deposit Required Bonus using coupon: APL200F. Claim up to R9,999 in Bonuses on first three deposits. Apollo Slots have some exciting casino bonuses for SlotsZAR visitors. Once a player has signed up the Coupon codes need to be entered via the Coupon tab in the Cashier section of the casino. Free No Deposit Required Bonus R200 (coupon APL200F). 1st. Deposit Bonus 100% up to R2,999 (coupon APL100). 2nd. Deposit Bonus 80% up to R4,000 (coupon APL80). 3rd. Deposit Bonus 60% up to R3,000 (coupon APL60). New players get 100 percent up to R2,999 on their first deposit using the APL100 code. On your second deposit, players can earn an additional 80 percent up to R,4000 with the APL80 coupon. The APL60 offer gives players 60 percent worth as much as R3,000 on their third deposit for a total of up to R9,999 across your first three deposits as a welcome bonus. This is on top of free spins, cashback and other regular promotions that they have for their players. Realtime Gaming software is what’s used at Apollo Slots. They’re known for making it easy to connect no matter what kind of computer or device you have. Mobile players have a great selection of games to choose from and can use Windows Mobile, Android, Blackberry, iOS or any other modern operating system to connect as long as you have an Internet browser with Adobe Flash. Players with desktop computers can log in through their instant play or downloadable software packages, both of which are solid options. 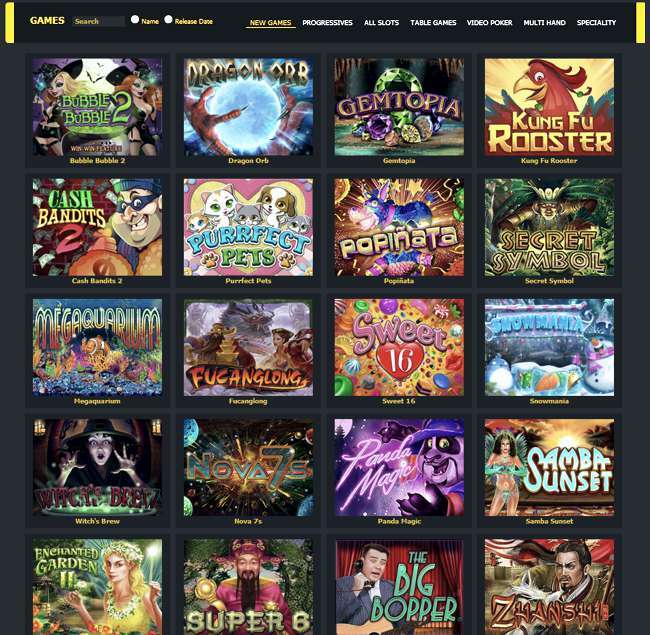 Most of the selection of games at this online casino is slot-based, as you can probably tell by the name. However, the number of video poker, blackjack, roulette, Baccarat, craps, scratch cards and keno games is also impressive. Around 35 to 40 percent of their games are non-slot titles, and that just goes to show that they have a deep selection of different types of games to make sure that all of their players find something that they enjoy playing. Support at Apollo Slots is available through a live chat interface and an email address only. The live chat option is probably the best choice for most players since it connects right away and gets you answers and a resolution to your issue in minutes. They offer deposits and withdrawals, as well as play, in the South African rand, so players don’t have to worry about losing value through currency exchanges. This is critical in that it helps to give players as much value as possible, which maximizes their chances of winning. *The free bonus coupon has wagering requirements of 60 times with a maximum cash out of R 400. All deposit bonuses are attached to play through requirements. The full terms and conditions are viewable in the terms and conditions of the casino.